House GOP breaking promises after only one day? That didn't take very long, did it? Republicans have officially been in control of the House of Representatives for a day now, and they're already backpedaling on some of the promises of transparency they made during the campaign. 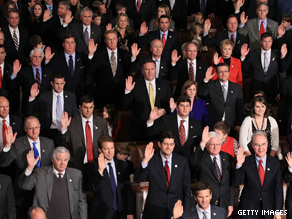 Members of the 112th Congress are sworn into office on January 5, 2011 in Washington, DC. For starters, Republicans promised all bills would go through a regular committee process. Not exactly. Wouldn't you know that the bill to repeal the health care law won't go through a single committee? Republicans say it's because the committees haven't been fully formed yet and they want to move quickly. They also insist the repeal bill will be "a very straightforward document," whatever that means. When Democrats were in charge, Republicans complained they didn't allow unlimited amendments and debate on a single bill. So they promised a more open amendment process for bills. Not exactly. With the bill to repeal health care reform, there will be practically no amendments. You have to give the Republicans credit. It's not easy to break this many promises in a single day. House Republicans said they wanted to publish committee attendance lists - you know, so the people who elect them could see who was actually showing up for work. That one never had a chance. They claim it wouldn't work since multiple committee hearings can happen at the same time. Lastly, the Republicans had said they would include a constitutional justification with every bill. Not happening either. All this comes after we learned that the estimate for how much the GOP would shave off the budget is now about half what it was in their "Pledge with America." So apparently that was a lie, too. The more things change in Washington, the more they stay the same. Here’s my question to you: What does it mean if House Republicans are breaking promises after only one day? 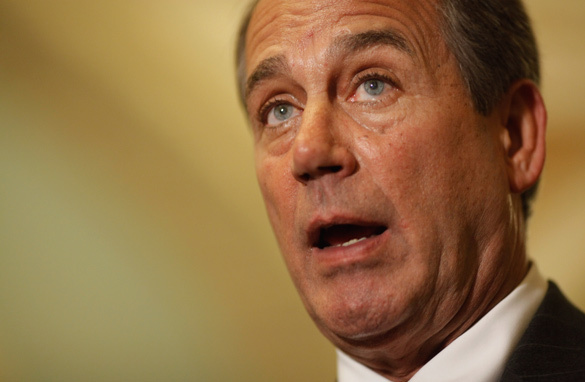 Does Boehner's crying diminish his credibility? "Weeper of the House"... that's what Joy Behar dubbed the incoming Speaker John Boehner after his teary-eyed performance on CBS' "60 Minutes." Boehner got choked up multiple times during the interview with Lesley Stahl, including when talking about the nation's children. He also teared up another time toward the end of the piece with his wife, Debbie, at his side. And this "60 Minutes" interview isn't the first time we've seen the speaker-to-be get choked up. On election night, when it became clear the Republicans had won control of the House, Boehner got teary-eyed talking about how he spent his whole life chasing the American dream. Boehner describes himself as "a pretty emotional guy." No kidding. He told "60 Minutes" he's comfortable in his own skin and that people who know him know that he gets emotional about certain topics. But not everyone is so comfortable. Barbara Walters said Boehner's got an "emotional problem." Others are now questioning the emotional stability of the man who will be second in line for the presidency. Of course, there are some stereotypes at work here. In 2008, Hillary Clinton revived her presidential campaign when she started blubbering in a New Hampshire diner. Voters saw the tears as showing her human side. But if a man cries, typically it's seen as a sign of weakness. When outgoing Speaker Nancy Pelosi was recently asked about Boehner's crying, Pelosi said she cries about a personal loss, "but when it comes to politics, no, I don't cry." Where Pelosi's concerned, it's the taxpayers who cry … but that's another story. Here’s my question to you: Did John Boehner's crying on "60 Minutes" diminish his credibility? Past time for ethics committee to release findings on Rangel? What are they waiting for? It's been almost two years since the house ethics committee started investigating Congressman Charlie Rangel... and so far - nothing. Meanwhile the 79-year-old New York lawmaker has filed for re-election. Rangel wants to run for his 21st term in the house; but first he has to win the Democratic party primary on September 14. So will the ethics committee release its report before then? If they do... and if the report is damaging... Rangel could be toast. But, if they hold the report until after the election - chances are Rangel will win again. This could also raise political questions about the timing of the report. As one Democrat tells Politico: "It would let everyone say that this is a cover up, that it's just the same old ethics system." And that's right on the money. Remember when the Democrats took control of the house in 2006? Nancy Pelosi promised they would "drain the swamp" after a decade of Republican rule. Sure. The leaders of the ethics committee aren't commenting on the Rangel case. 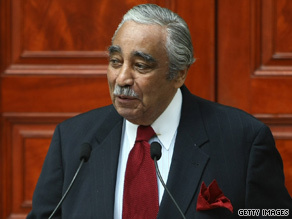 For his part, Rangel insists he's innocent - that no wrongdoing has been found. He says he gave up his powerful chairmanship of the ways and means committee so he wouldn't be a target for Republicans. Nonetheless, Rangel is being investigated for a wide range of allegations - from using his chairmanship to raise money for a public service center that carries his name... to failing to pay taxes on income from a home in the Dominican Republic... to hiding hundreds of thousands of dollars in assets and income on a financial disclosure form. Here’s my question to you: Isn't it past time for the House Ethics Committee to release its findings on Congressman Charlie Rangel? 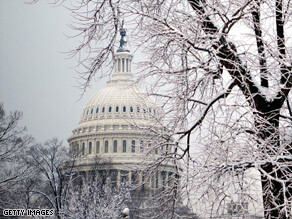 The House of Representatives has passed 290 bills that are stalled in the Senate. The Hill newspaper reports that frustrated House Democrats are out with a list of the nearly 300 pieces of legislation they've passed - that the upper chamber has yet to act on. The stalled bills include both big and small ones - from health care, climate change and Wall Street Reform... to a Civil War battlefield preservation act and naming a federal courthouse in Iowa. House Speaker Nancy Pelosi's office says this list is put together during each Congress - but that this year's is probably the largest ever. Nonetheless, Pelosi isn't blaming her Democratic counterparts in the Senate. Instead she lays the blame on Republicans who are "abusing" their right to filibuster. But some Democratic congressmen aren't shy to fault their Senate colleagues for not doing more with their super majority when they had it. House Majority Whip James Clyburn suggests that senators see themselves as a "house of lords" and that they're out of touch with the American people since they're not up for re-election every two years. Over in the Senate - majority leader Harry Reid also blames Republicans for the back-up of legislation. Isn't he in charge? The Democrats - starting with Reid and Pelosi - have to figure out how to get all their troops marching in the same direction. The people's business is piling up, and our lawmakers are just watching. Here’s my question to you: How can Washington accomplish anything if 290 bills passed in the House are stalled in the Senate? 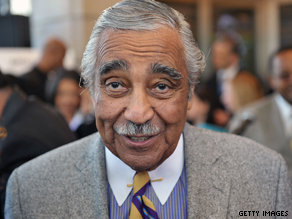 Why do House Democrats still support Charlie Rangel? Yesterday it was Republican Senator John Ensign... today, we have a worm from the other side of the aisle: Democratic Congressman Charlie Rangel. Republicans tried unsuccessfully once again to remove Rangel from the chairmanship of the powerful Ways and Means Committee. They introduced a motion that would have forced him to step down during the ongoing ethics investigation into his finances and other activities. But House Democrats wouldn't hear of it. They effectively killed the resolution - by voting to shut down the debate and send it to the House Ethics Committee - where the matter has already sat for a year. The phrase, "House Ethics Committee" is an oxymoron. Rangel has been under investigation for lots of reasons: hundreds of thousands of dollars worth of assets that he allegedly didn't claim on financial disclosure forms. He has admitted not paying taxes on $75,000 in income from a rental property he owns in the Dominican Republic. And - he's accused of breaking New York City laws by keeping several rent-controlled apartments - including one he used for a campaign office. There's more… I just don't have time to list it all. But despite it all... this weasel remains the head of the powerful House committee that writes our tax law. And judging by the actions of his fellow Democrats yesterday, it's all just fine with them. What it is is disgusting. Charlie Rangel says he's the victim of a smear campaign by some in the media. He whines that other chairmen usually get to keep their leadership posts when under ethics investigations. Here’s my question to you: Why do House Democrats continue to support Ways and Means Committee chairman Charlie Rangel? House act on congressman who called pres. a liar? The House may formally criticize Joe Wilson - the congressman who yelled "you lie" at President Obama during his health care speech to Congress last week. 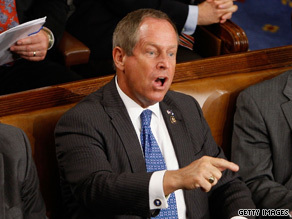 Rep. Joe Wilson shouts, "You lie!" after President Obama denies the health plan would cover illegal immigrants. Democratic leaders are deciding whether to bring a resolution of disapproval to the House floor. It wouldn't be a formal reprimand or censure - but would put the House on record as condemning Wilson's behavior. Republicans say Wilson already apologized for his outburst... and the president accepted. They say Democrats are just wasting taxpayers' time - instead of focusing on issues like health care. Even one top Democrat - Congressman Barney Frank - isn't sure the resolution is such a good idea. Frank says it sets a bad precedent to put lawmakers "in charge of deciding whether people are jerks." 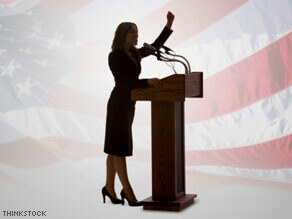 House Speaker Nancy Pelosi initially said she didn't plan to take the issue any further, but other Democrats argued that Wilson's behavior couldn't be ignored. For his part - Wilson already said he would refuse to apologize on the House floor. Meanwhile some of Wilson's supporters say if Democrats go forward with this resolution, it will only help him back at home in South Carolina, where he's up for re-election. They see it as yet another chance to raise money and rally the base behind him. Both Wilson and his Democratic challenger have raised more than $1 million since he called the president a liar. Here’s my question to you: What should the House do about Rep. Joe Wilson, who called President Obama a liar? Should House cancel $550 million order for new jets? A group of Democratic and Republican senators are opposed to spending more than $550 million on new jets. A group of Republican and Democratic senators is now saying "not so fast" to the House's plans to spend more than a half a billion dollars on new jets. The Wall Street Journal reports that these senators - along with the Pentagon - are critical of the $550 million plan to buy 8 new Gulfstream and Boeing planes for government officials and VIP's to fly around in. Democratic Senator Claire McCaskill says, "The whole thing kind of makes me sick to my stomach" adding that the move paints members of Congress as "out of touch”, spending money like it's Monopoly money. Several senators are planning to oppose the purchase when they take up the bill in the fall. Originally the administration wanted $220 million to buy 4 jets to replace older planes. But - before the House left town on vacation - they doubled the order to 8. The measure was part of a larger defense-funding bill. In a masterful bit of rationalization, supporters in the House claim buying eight new jets would actually save money later on because the new planes are cheaper to operate than the older ones. They say it's not a question of whether or not the planes will be bought, but when they'll be bought. More rationalization: Those who approved this extravagance claim these jets are mostly used by the military, and that members of Congress only use them 15% of the time. 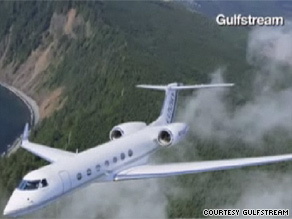 So I guess that makes it all OK.
UPDATE: Late Monday, the House dropped plans to spend $550 million on these jets. Instead they're asking for $220 million, the original amount requested by the Pentagon. Here’s my question to you: Should the House cancel its order for $550 million worth of new jets?